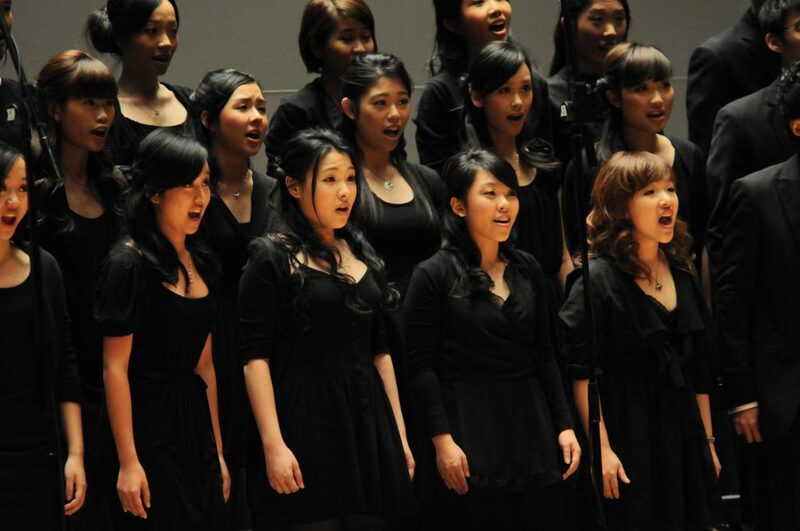 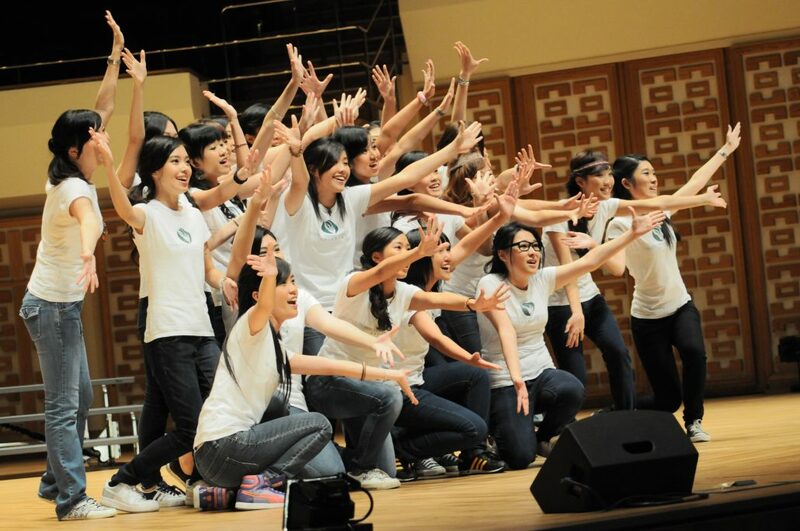 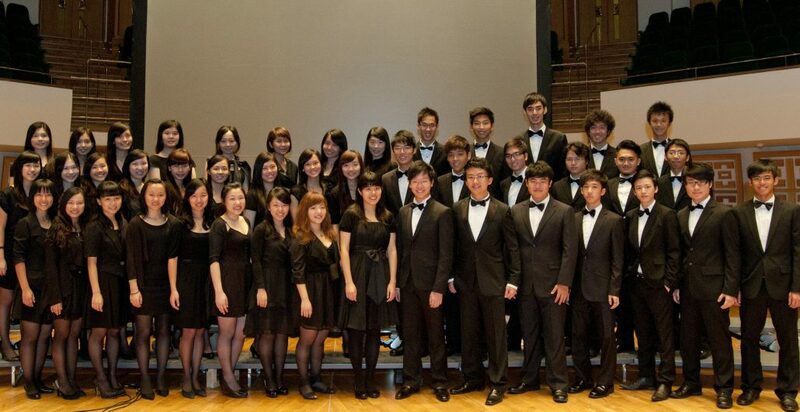 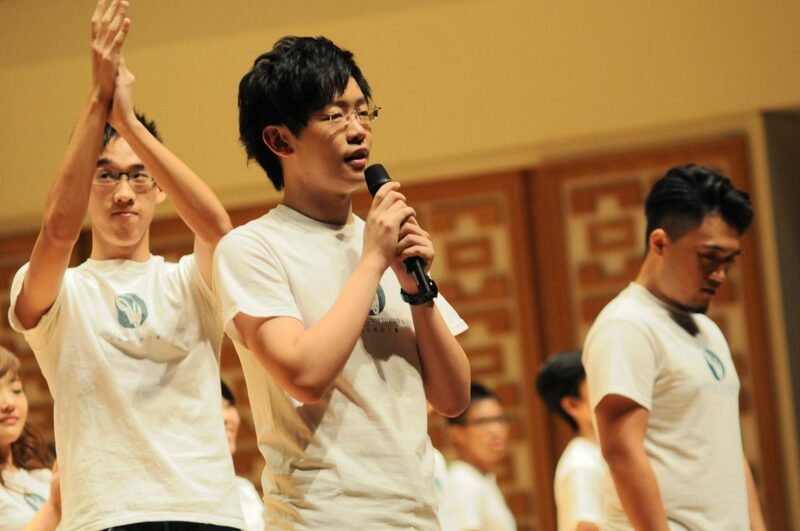 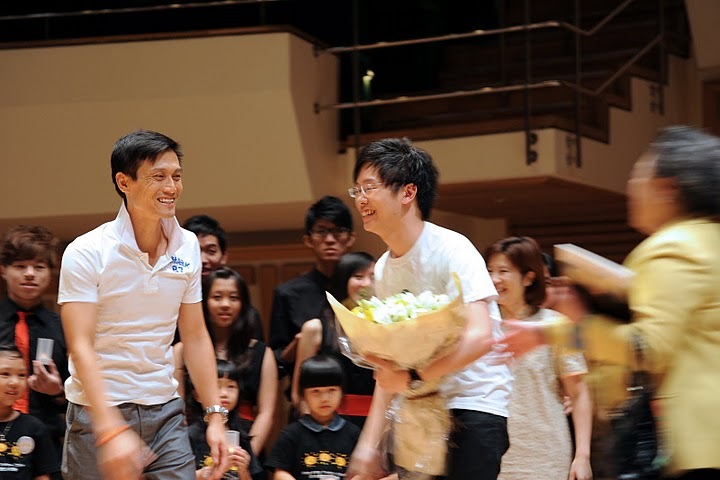 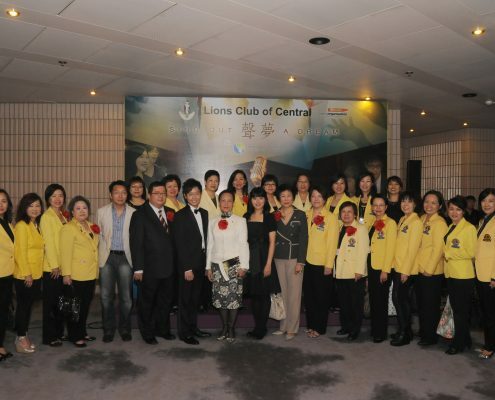 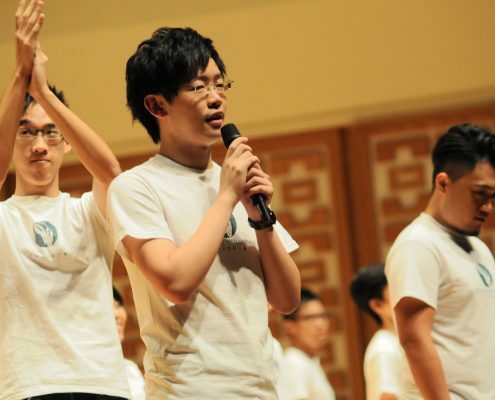 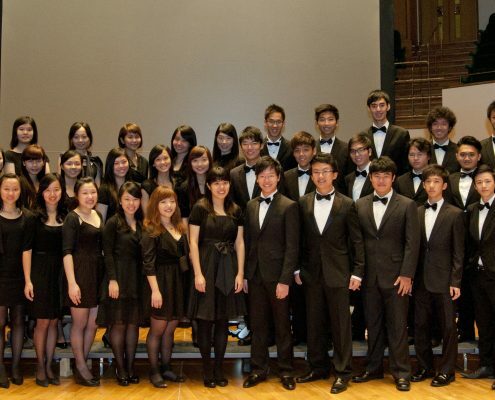 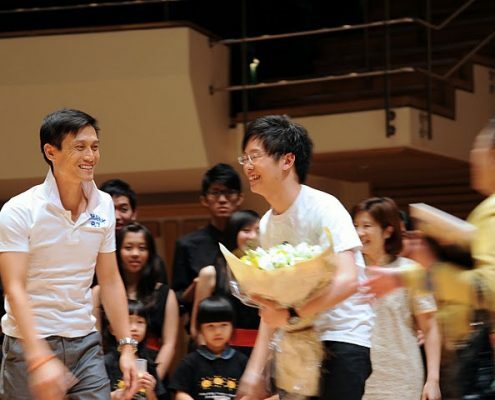 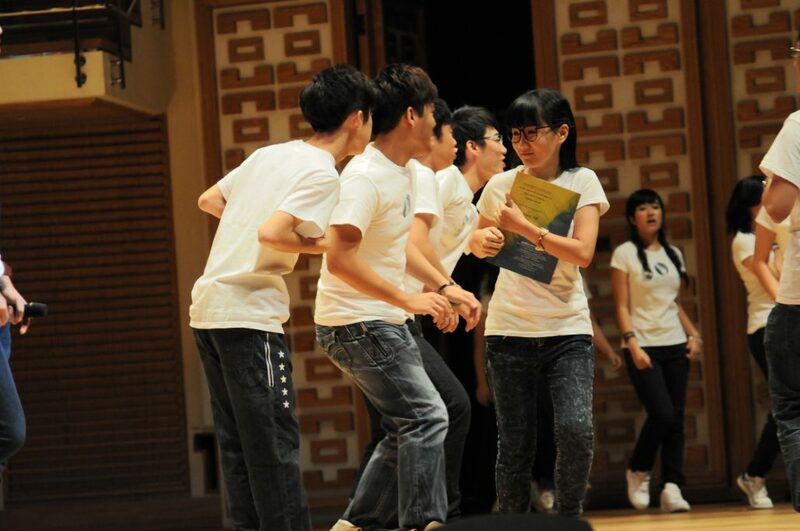 In the summer of 2011, we held our debut concert at the Hong Kong Cultural Centre Concert Hall to raise funds for the charitable work of the Lions Club of Central. 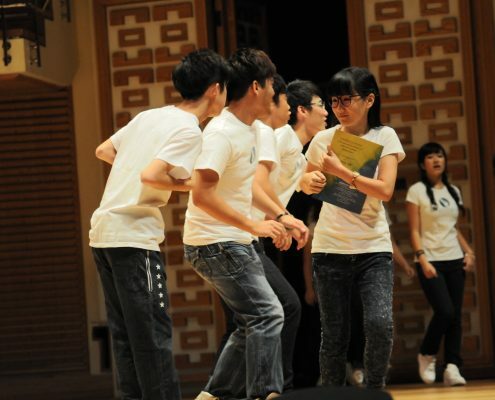 The concert was subsequently awarded a Lions Club International Service Award under the “Best Connection to Youth Program” category. 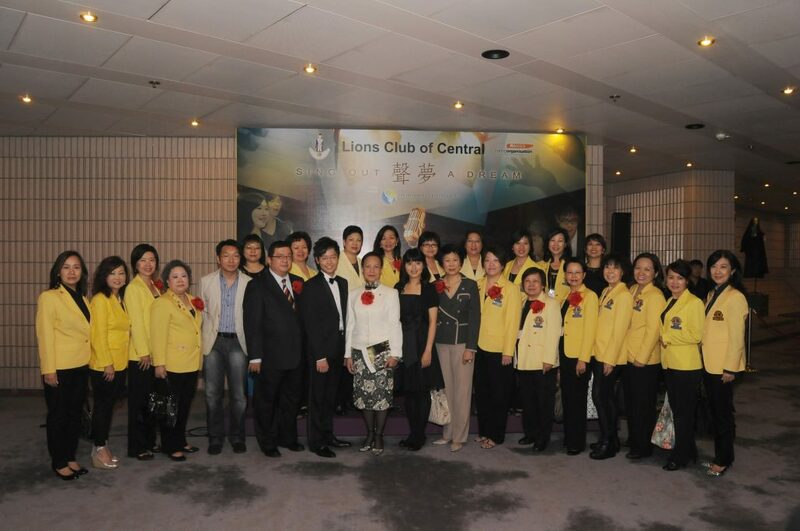 We were honoured to have Ms Yan Hau-yee, Lina, MH, JP, the Vice-chairman of the Hong Kong Art Development Council, as our officiating guest and deliver the opening remarks. 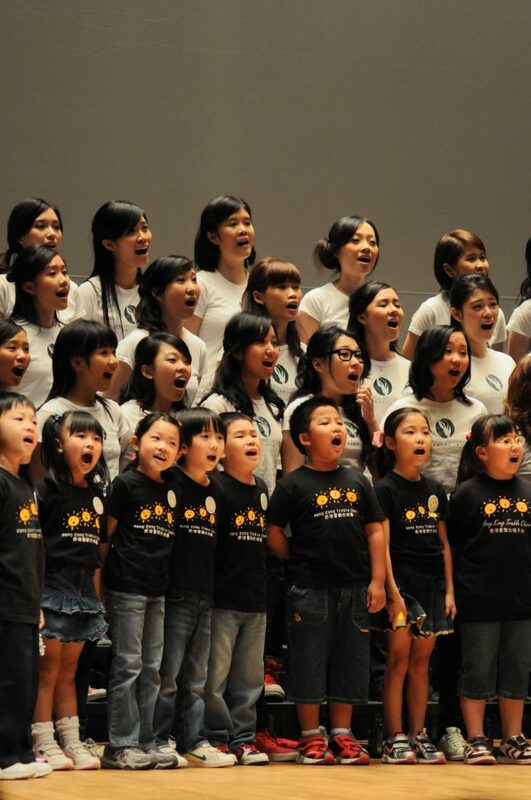 Free tickets were given to certain underprivileged groups and disabled individuals to attend the concert. 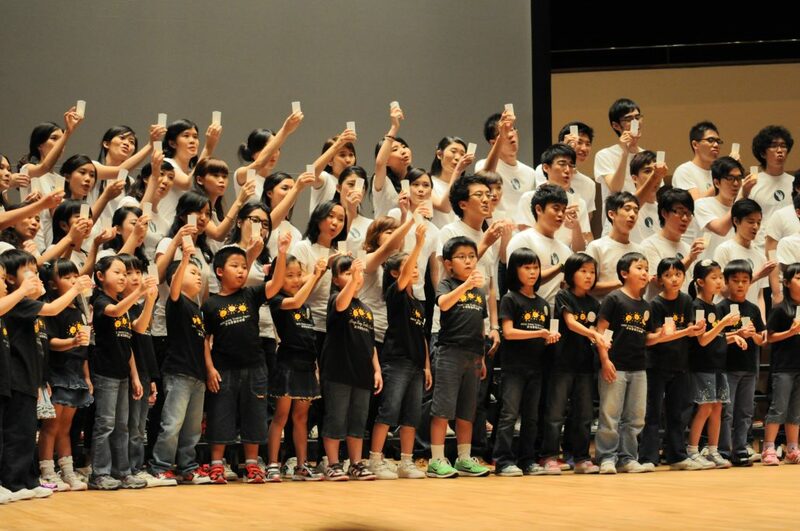 Before the concert started, we showed a video of how our choir came into being and how we prepared for the concert. 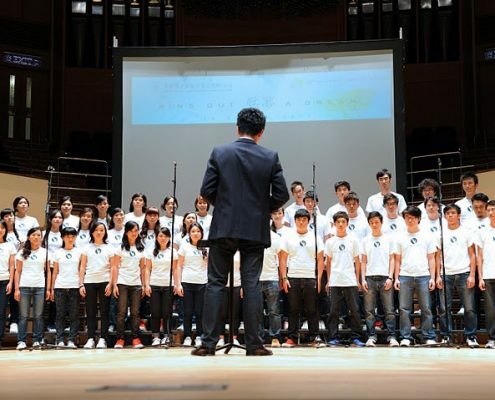 It recorded how our members worked together to make the concert a reality. 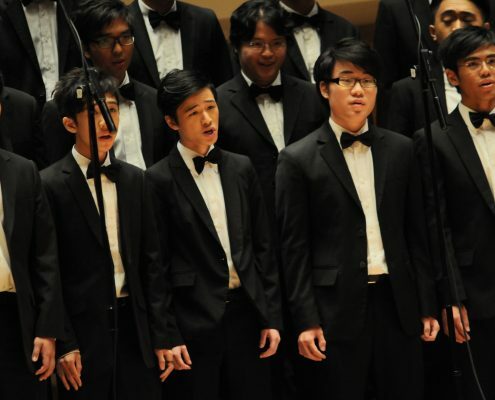 The concert then began with members in black suits marching out from the backstage singing “When the Saints Go Marching in”. 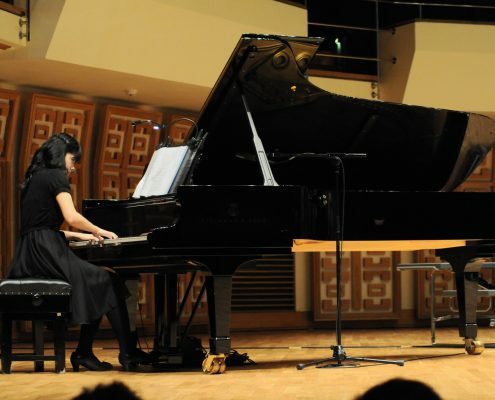 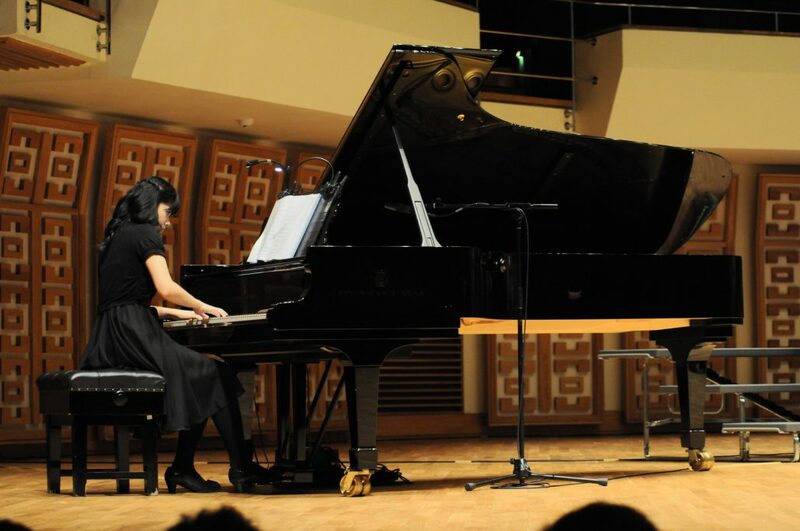 The concert was divided into two halves, with the first half devoted to traditional music and the second half to folk songs and contemporary music. 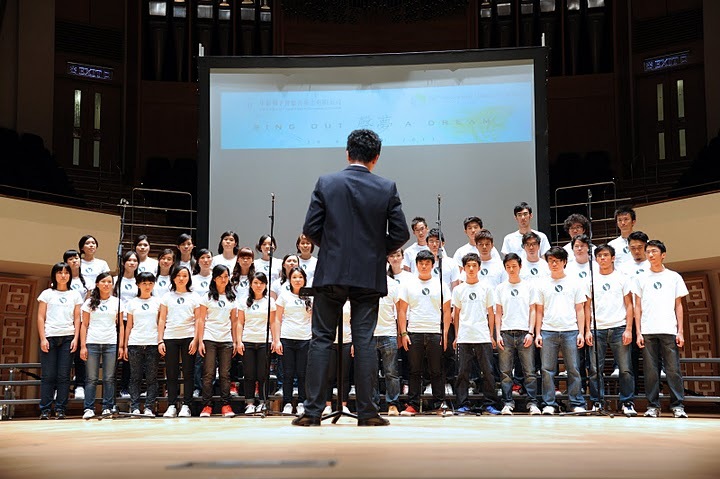 Highlights of the concert repertoire included “The Glorious Music of Life”, “Lamentation of Jeremiah” and “我唱出了世界的聲音”. 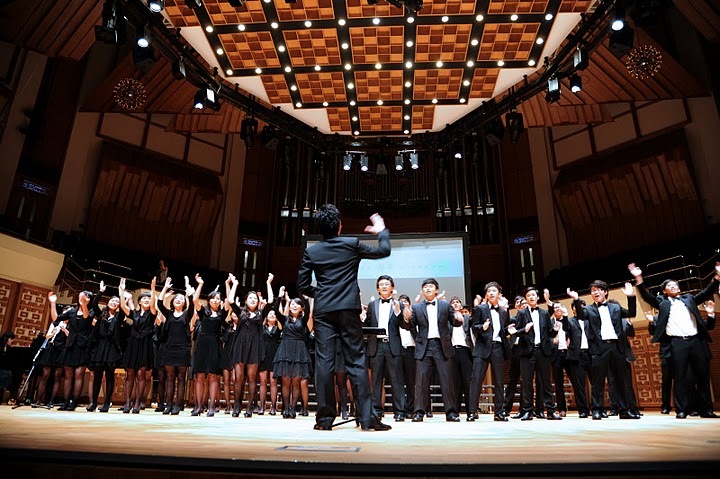 We sang an inspirational song “紅日,” an a cappella as the last song of the concert, with dance steps designed by our choreographer, Mr. Wong Ting Lam Andy. 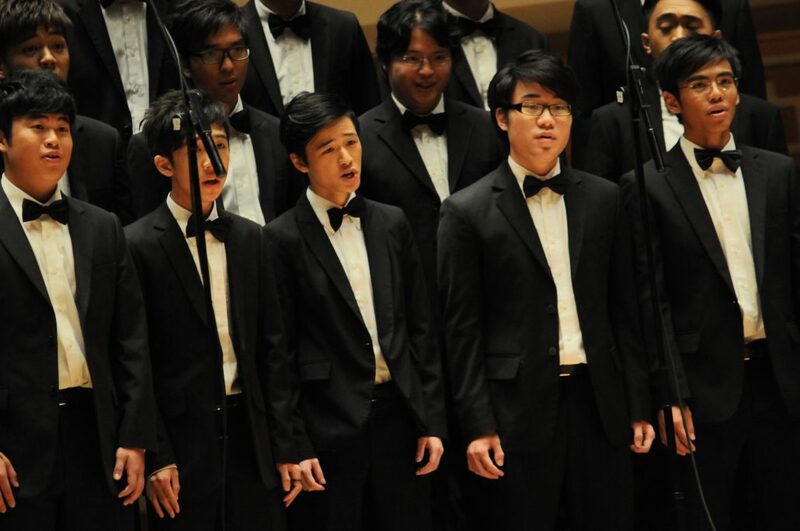 It was an emotional moment for many of our members as the lyrics precisely described the hardship we encountered preparing for this concert, and the laughter and tears we shared along the way. 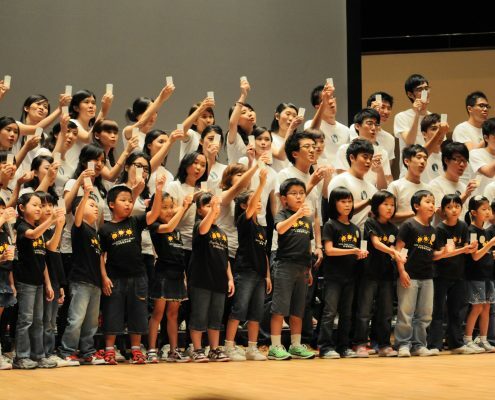 With a lit candle in our hands, we, together with our special guests Hong Kong Treble Choir and The Show Choir Hong Kong, sang an encore song “讓愛傳出去”. 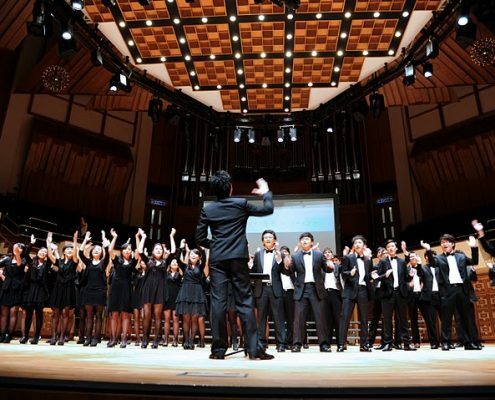 As the title suggests, we hoped that our love and enthusiasm for singing could be passed on, and that was the perfect end to the concert.